El Dorado Cantina has really good food and a rather odd location. 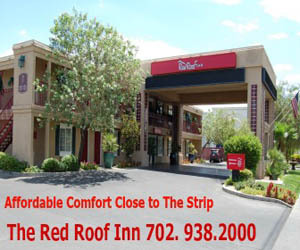 It’s located within the same building as the Sapphire Gentlemen’s Club on Industrial Road—mere blocks from the famous Las Vegas Strip. The upscale 181-seat restaurant opened to the public on Friday, June 20. The grand opening is slated for August 19. The new restaurant prides itself on offering sustainably-raised products and superior quality beef, chicken, pork, shrimp and fish that originate from carefully-selected farms in the U.S. and thus are free of antibiotics, pesticides and steroids. The authentic Mexican cuisine represents various regions of Mexico and a number of vast culinary traditions. The house specialty white, red and sparkling Sangrias are made with fresh fruits. Assorted domestic, import and specialty craft beers including Samuel Pure Brewed Organic Lager and Day of the Dead IPA, wines, champagne, bottle service and more than 100 tequilas such as AsomBroso 11 Year aged “Vintage” and Clase Azul Ultra are available at the bar where custom built-in lighted birch wood boxes showcase premium Tequilas.